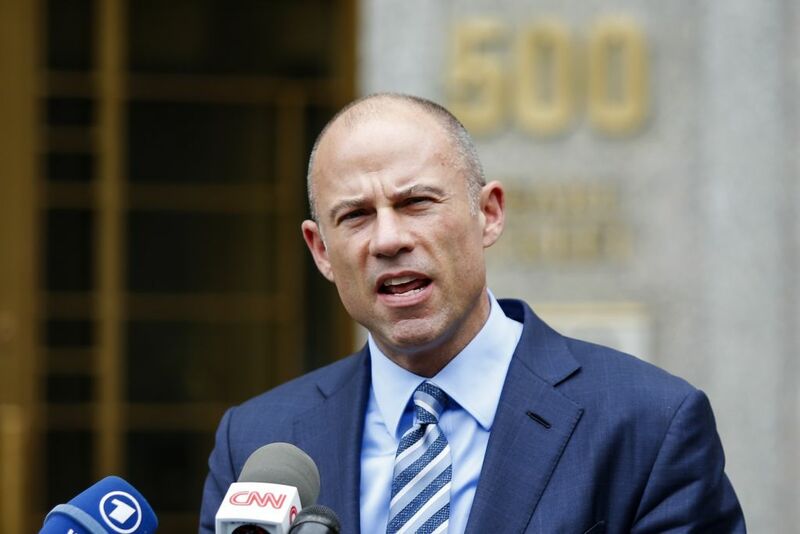 Legal problems are piling up for attorney Michael Avenatti, who is facing serious heat from both the states of New York and California, where he has been charged with extortion and bank and wire fraud, respectively. TMZ reports that he's been arrested on the former charge, and it's the more dramatic of the charges by a healthy margin, given that he is alleged to have tried to extort Nike for tens of millions of dollars. "I'm not f**king around with this, and I'm not continuing to play games…you guys know enough now to know you've got a serious problem…So if you guys think that you know, we're gonna negotiate a million five, and you're gonna hire us to do an internal investigation, but it's gonna be capped at 3 or 5 or 7 million dollars, like let's just be done…I'll go and I'll go take 10 billion dollars off your client's market cap. But I'm not f**king around." "If this is not papered on Monday, we are done. I don't want to hear about somebody on a bike trip. I don't want to hear that…somebody's grandmother passed away or…the dog ate my homework, I don't want to hear – none of it is going to go anywhere unless somebody was killed in a plane crash." That, somehow, isn't all. Over in California, Avenatti is facing additional charges for bank and wire fraud. Prosecutors say he was embezzling money from clients in order to fund his corporation that runs Tully's Coffee, which has locations in both California and Washington. And he also is alleged to have submitted falsified tax returns to a Mississippi bank in order to secure a $4.1 million worth of loans. The fake returns showed he had paid almost $3 million in taxes in 2012 and 2013, but prosecutors allege he hadn't paid anything and was more than 800 grand in the red with the IRS. This is far from the first time Avenatti has been in serious financial and legal trouble. The aforementioned Tully's Coffee business was the center of a lawsuit against him by actor Patrick Dempsey, his partner in the ultimately unsuccessful joint venture. In 2018 his divorce from ex Lisa-Storie Avenatti was reported to have forced him to sell "his Ferrari, five watches and his share in the private jet" in order to pay down a $2 million debt, reports which he denied and called "demonstrably false." That same year, he was hit with a $10 million judgment in court after he was sued by a former partner at the Eagan Avenatti law firm who accused him of declaring bankruptcy in order to avoid a promised $4.8 million payout as well as several other significant financial obligations.